Ready to Talk Land Rover Lease and SUV Financing? The first part of the search for your next new Land Rover is finding the vehicle of your dreams. The next one is often be to looking at financing. 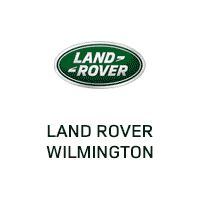 At Land Rover Wilmington, we offer a wide range of solutions to drivers from Newark, DE, Milford, Dover and Middletown to help them secure an SUV loan or Land Rover lease in Wilmington. And to further assist you along the road, we staff a full car service and maintenance department to ensure your next automotive investment will be a great ride for years to come. Take the next step in the acquisition of your luxury SUV by filling out our contact form below or start the financing process right away by completing our online finance application. If you rather talk Land Rover financing in person, stop by our dealership serving the Newark, DE added Milford, Dover and Middletown area and see us during regular business hours.